"Microsoft is updating the Surface Laptop with 8th Gen Intel processors and a matte black finish. The second-generation model, called the Surface Laptop 2, is supposed to be 85 percent faster than the previous generation and use the “thinnest ever LCD” on a touch laptop. The product’s entry-level price is dropping by $100 for this generation to $899. It goes on sale October 16th, and preorders start today. This year’s refresh appears to be almost entirely a spec update. While Microsoft hasn’t revealed full details for the laptop, the hardware appears to be identical, down to the port situation — which means another year without USB-C. 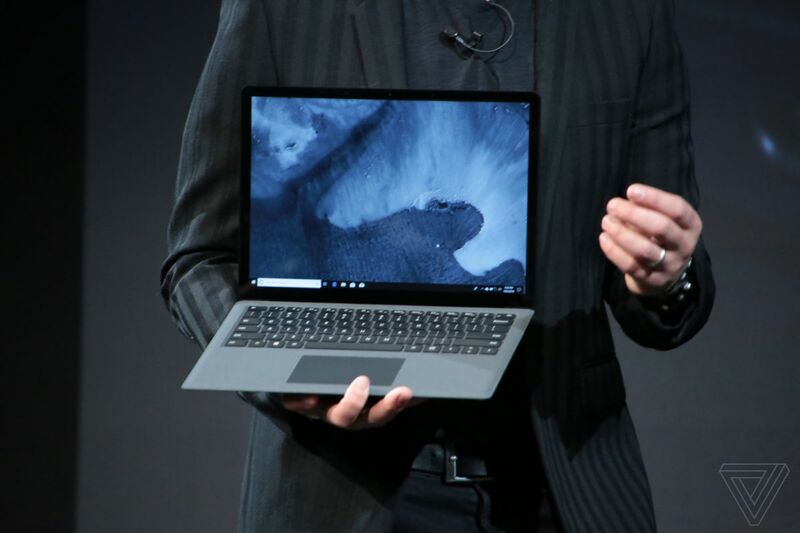 The laptop will still have a 13.5-inch display, and Microsoft is still estimating 14.5 hours of battery life for nonstop video playback. It does claim that typing on this version will be quieter, though. The original Surface Laptop was announced in May 2017, and it became a surprise favorite, thanks to its balance of size, power, and style. But the laptop did have shortcomings. The original model started at just 4GB of RAM and didn’t include USB-C ports, despite them becoming increasingly standard. From the look of things, the USB-C situation is going unchanged this year; we’re still waiting to hear about RAM. While the first Surface Laptop is still one of the best laptop options around, this new model faces some stiffer competition. In recent months, Huawei has claimed the title for best laptop, thanks to a model with ultra-thin bezels, a simple and light design, and plenty of power (and ports). But that laptop starts at a much higher price — $1,500 — and is going for a somewhat different audience. With the Surface Laptop, Microsoft is targeting the college student and the everyday customer who just wants a reliable machine to get things done. The Surface Laptop 2 doesn’t look like it’s going to change that formula much; it’s just updating specs to be a bit more competitive in 2018."